All Cournot Centre publications are published in English and in French and are available on-line or in bookshops. They can also be found in Francophone and Anglophone university libraries. Global crises are very rare events. After the Great Depression and the Great Stagflation, new macroeconomic paradigms associated with a new policy regime emerged. This book addresses how some macroeconomic ideas have failed and examines which theories researchers should preserve and develop. It questions how the field of economics – still reeling from the global financial crisis initiated in the summer of 2007 – will respond. The contributors, nine highly-renowned macroeconomists, highlight the virtues of eclectic macroeconomics over an authoritarian normative approach. They illustrate that macroeconomic reasoning can still be a useful tool for carrying out practical policy analysis. As for emerging research programmes, their wide-ranging chapters remind us that there are positive approaches to and reasons to believe in old-fashioned macroeconomics. View the contributors’ presentations given at the Cournot Centre’s conference, What’s Right with Macroeconomics?, held 2-3 December 2010. When the euro was introduced, it was heralded as the symbol of a unified Europe. Not enough consideration was given at the time, however, to how member economies could adjust to differences in economic performance or how to manage debt crises. Today, amidst a broader North Atlantic financial and economic crisis, the eurozone is in turmoil, beset by stresses and strains that could challenge Europe’s very construction. How should eurozone countries tackle their current crisis? How did it come about, and how may it be resolved? What does it mean for Europe’s historic experiment in political and economic integration? Will the eurozone crisis be remembered as the moment when the EU finally cracked? Or as the spur to a more integrated and competitive Union? The Center for Transatlantic Relations and the Cournot Centre asked the authors in this timely volume to address these questions. 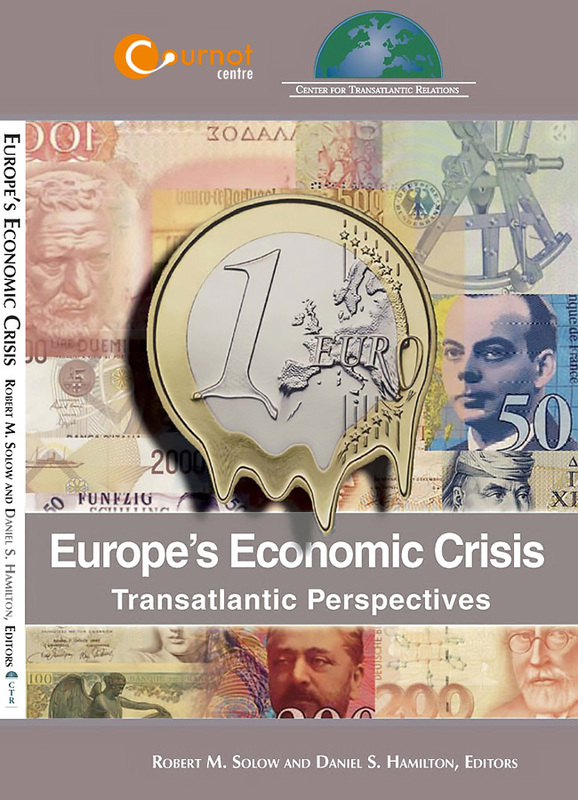 Their varying perspectives are invaluable to anyone seeking to understand the roots of Europe’s economic crisis and how it may affect Europe’s future. This book is unique in its broad coverage of the concept of division of labour. The variety of contributions highlight its shape, showing that it is not just limited to the old notions of the degree of the division of labour among productive units, along the lines of Adam Smith, or the degree of specialization amongst countries, along the lines of David Ricardo. Through different lenses, the authors present a panoramic and detailed view of contemporary analyses, including not only gender, but also assets, sectors and nations. 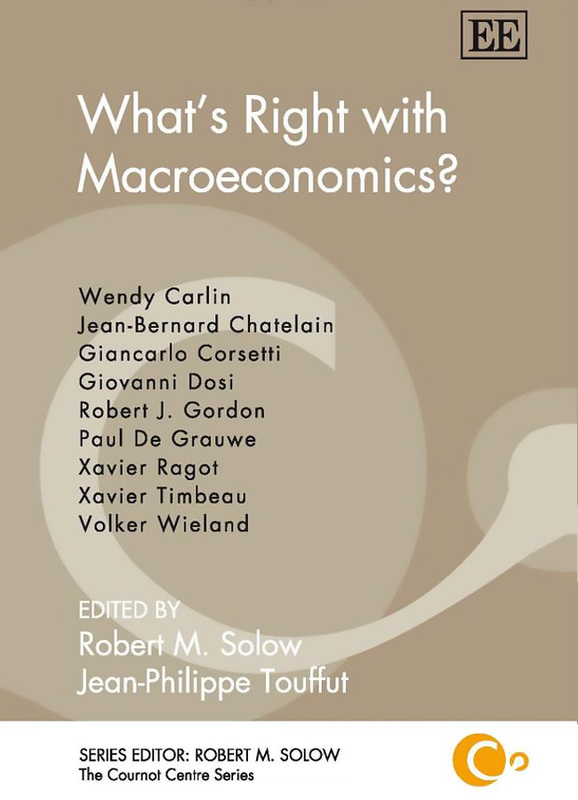 The book edited by Robert Solow and Jean-Philippe Touffut therefore provides a refreshing new vision on one of the oldest concepts popular in economic analyses. How is work divided up in the household, within an industry, a nation or between continents? What are the dynamics of the division of labour? The wide-ranging contributions to this book explore these questions from technological, capital and political perspectives. They include in-depth studies of gender, the firm, countries’ economic specializations, ICTs, foreign direct investment and agriculture. 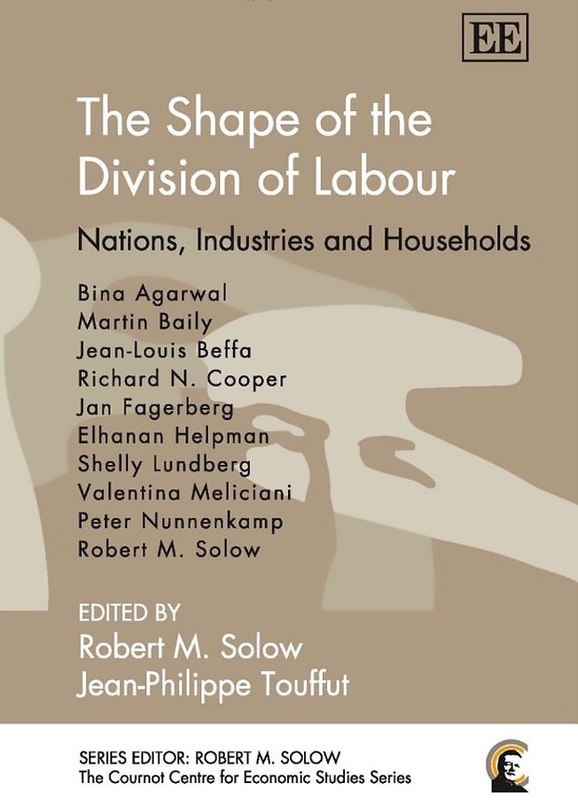 The ten distinguished contributors – scholars, economists and practitioners – take stock of the shape of the division of labour and provide useful policy recommendations. View the contributors’ presentations given at the Cournot Centre’s conference, The New International Division of Labour, held 12-13 November 2009. The book launches took place in Washington, D.C. on 3 December and in Copenhagen on 8 December 2009. This volume brings a remarkable variety of viewpoints on appropriate policy to meet the threats brought on by man-made climate change. Not only economic theory but broader political and methodological perspectives are brought to bear by an authoritative set of authors, in what is certainly a significant contribution to the debate. How did climate change become an economic issue? Why is economic discourse so influential on the public policy of climate change? How can it best contribute to the scientific and public debates? 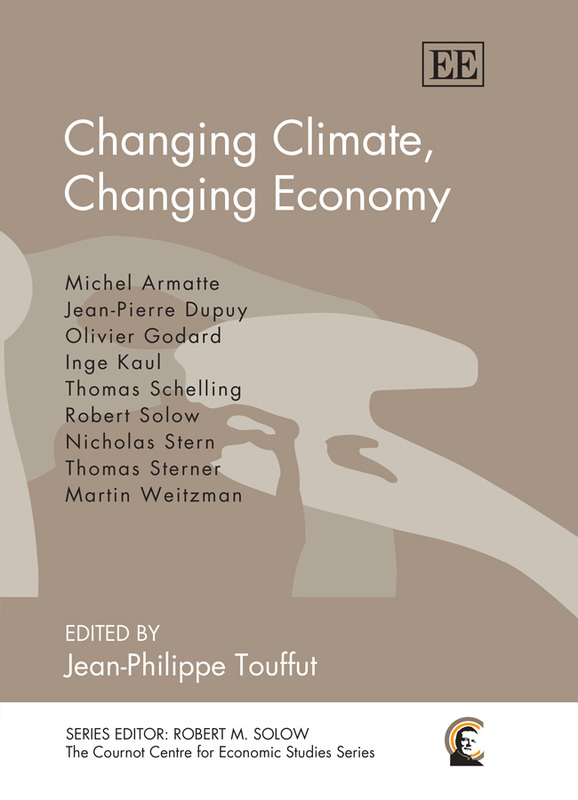 Eight eminent scholars explain in this book both how economics has changed environmental understanding and how the study of climate change has modified the economy. Changing Climate, Changing Economy will interest researchers and students in a variety of fields including environmental policy economics, ecological economics, public policy and the environment as well as environmental ethics. Climatologists, environmentalists, public policy advisers and analysts will also find this book invaluable. View the contributors’ presentations given at the Cournot Centre’s conference, The Economic Cost of Climate Change, held 18-19 December 2008. The 2008 financial crisis has caused the validity of theshareholder-oriented model to be scrutinized. Was the model right? Was it just that the regulations were inadequate, or was it the financiers’ greed? Should we not have earnestly searched for another model? Originally presented a year before the crisis, thepapers in this volume did more than anticipate such debate. This book provides excellent food for thought for anyone interested inhow to reconstruct the corporate economy. Do modes of management depend on company ownership? Does macroeconomic performance rely on shareholder value? The contributions collected in this book explore these questions from economic, historical and legal perspectives. They examine company ownership through the study of national institutions, with particular focus on North America and Europe. The 12 economic and legal specialists of this volume seek to explain why firms organized along the shareholder model have not outperformed other forms of ownership. Answers lie in the historical and institutional background of each country. This book will appeal to a wide-ranging audience encompassing researchers, students and academics in the fields of corporate governance, company law, finance and organization theory. 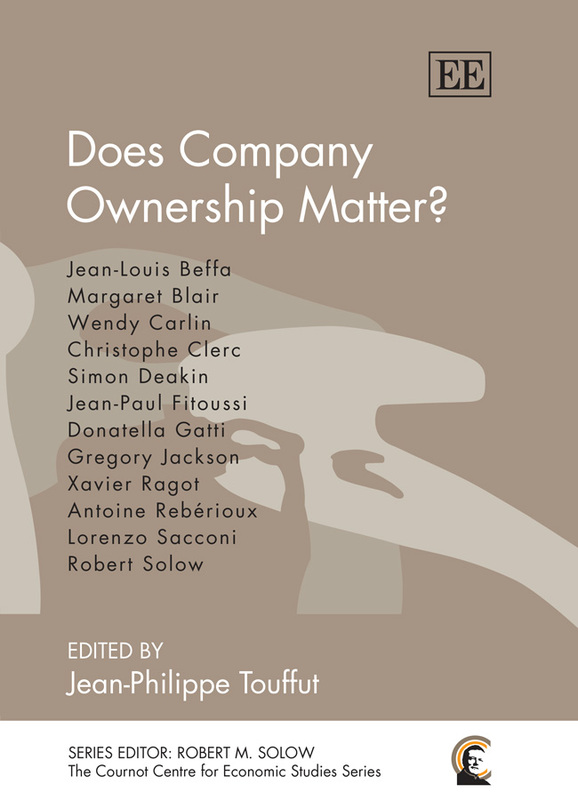 The first versions of these texts were presented at the Cournot Centre’s conference, Does Company Ownership Matter?, held 29-30 November 2007. Theories and practices in central banking and monetary policyhave changed radically over recent decades with independenceand inflation targeting as the new keywords. This book offers interesting perspectives on the drivers of this developmentand its implication. It addresses contemporary questions onaccountability, transparency and objectives for monetary policy as well as current policy problems related to globalization andfinancial imbalances. The book is topical, insightful and well written – a must for everybody with an interest in central bankingand monetary policy. Central banks have gained greater independence from government control over the last 20 years. This widespread trend throws up new questions regarding the foundations, prerogatives and future of this economic institution. This book provides a better understanding of the current financial crisis through the in-depth study of the central bank. Researchers in the fields of monetary theory, monetary policy and central banking will find this volume of great interest. It will also appeal to students of economics, political economy, banking and finance, as well as economists, academics, and public policy advisers and analysts. 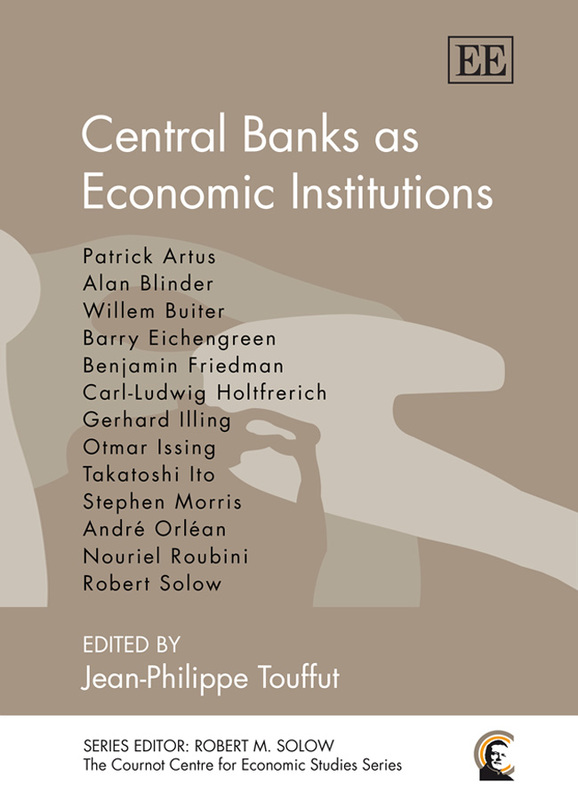 The first versions of these texts were presented at the Cournot Centre’s conference, Central Banks as Economic Institutions, held 30 November and 1 December 2006. This rich and fascinating collection of essays helps enormously to establish the reputation of Augustin Cournot as a diverse and powerful thinker, whose numerous contributions range far beyond his widely acknowledged model of oligopoly. Cournot is revealed not merely as a mathematician, but one who was engaged in philosophical debates concerning epistemology and the nature of science. Anyone with the preconception that the development of modern economics was confined to the Anglophone world – from Smith through Marshall to the Nobel Laureates of today – will be amazed by the details of Cournot’s contribution revealed here. “If Augustin Cournot had still been alive, he could have won the Nobel Memorial Prize in Economics on at least three different occasions”, exclaimed Nobel Laureate Robert Aumann during the 2005 Cournot Centre conference. From his earliest publications, Cournot broke from tradition with his predecessors in applying mathematical modelling to the social sphere. Consequently, he was the first to affirm the mathematization of social phenomena as an essential principle. The fecundity of Cournot’s works stems not only from this departure, but also from a richness that irrigated the social sciences of the twentieth century. 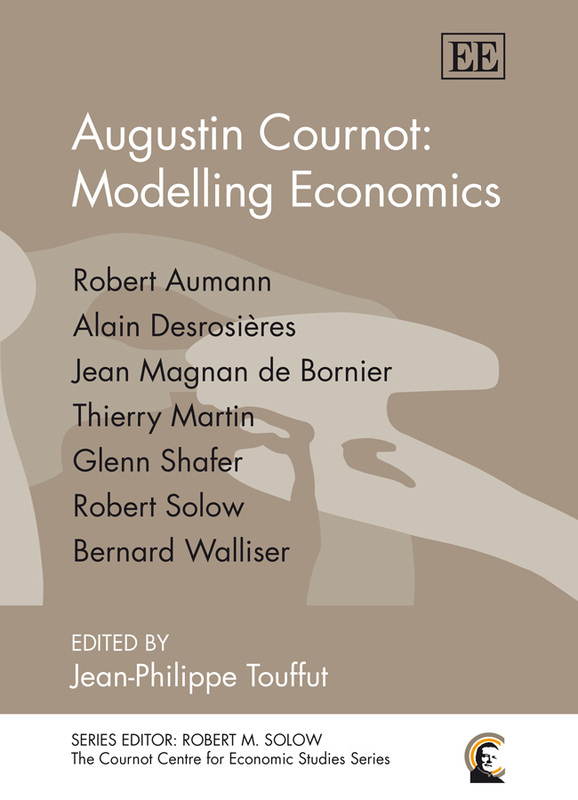 In this collection, the contributors – including two Nobel Laureates in economics – highlight Cournot’s profound innovativeness and continued relevance in the areas of industrial economics, mathematical economics, market competition, game theory and epistemology of probability and statistics. Each of the seven authors reminds us of the force and modernity of Cournot’s thought as a mathematician, historian of the sciences, philosopher and, not least, as an economist. Combining an epistemological perspective with a theoretical one, this book will be of great interest to researchers and students in the fields of economics, the history of economic thought, and epistemology. The first versions of these texts were presented at the Cournot Centre’s conference, Augustin Cournot, Economic Models and Rationality, held 1-2 December 2005. This is a timely and thought-provoking book which brings the discussion of public goods to confront the contemporary world economy where such goods have often a global nature and require super-national provision and control. 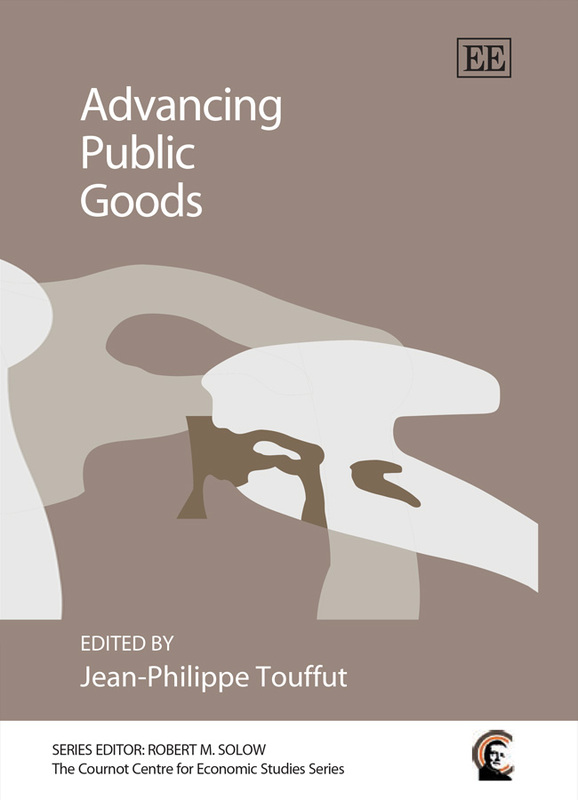 In this wide-ranging selection of papers, distinguished economists, public policy advisers and political theorists contribute to the debate on public goods. The studies cover topics in the conceptualization, classification and stratification of public goods. Also examined are public institutional design, global economic institutions and partnership typologies. Individual papers address the financing, regulatory, organizational and legal aspects relating to services of general interest in Europe. The dynamics of global public good production, including monopolies, patents, scientific uncertainty and market failures, are discussed. Empirical research on the state, profit and non-profit sectors is presented. Providing numerous examples of specific public goods, the contributions also highlight the impact of macroeconomic policies on provision. The book presents a broad diversity of new approaches to global public goods within the framework of mixed economies, beyond the standard economic analysis of public services. Academics, researchers and policymakers in the area of global public goods and services will find this volume of great interest. The first versions of these texts were presented at the Cournot Centre’s conference, Public Sector, Private Sector: New National and International Frontiers, held 2-3 October 2003. 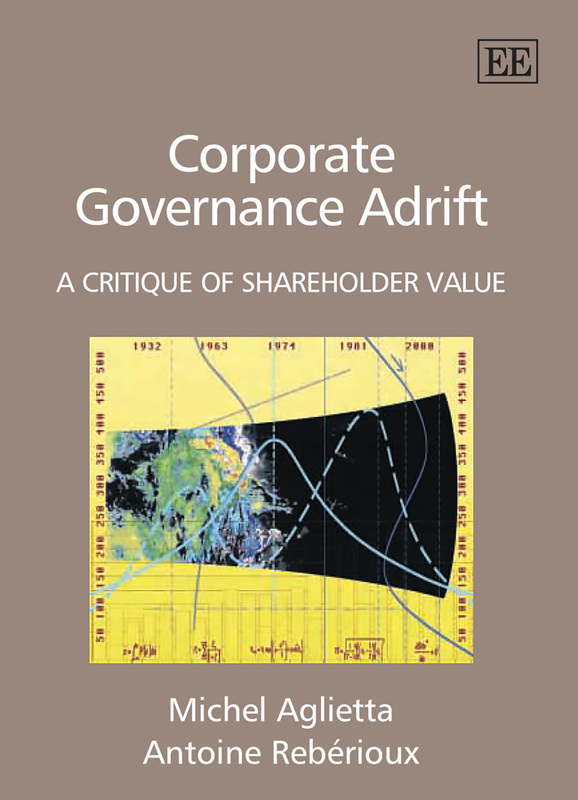 Corporate Governance Adrift is a challenging book… the authors have succeeded in creating a work that is consistently fascinating and an argument that is lucid and gripping without ever compromising its intellectual weight. Recent corporate governance scandals have brought to the fore the inherent contradictions of a capitalism dominated by financial markets. This challenging book by Michel Aglietta and Antoine Rebérioux argues that capitalism’s basic premise – that companies must be managed in the sole interest of their shareholders – is incongruent with the current environment of liquid markets, profit-hungry investors and chronic financial instability. The authors advocate rather that a company should be managed as an institution where common objectives are developed for all stakeholders, and that this democratic principle should be extended to the management of collective savings to reduce macro-financial instability. These two conditions, they contend, could make contemporary capitalism a vehicle for social progress. Corporate Governance Adrift has been translated and published in Spanish and is forthcoming in Portuguese. How significant was the internet boom and bust? 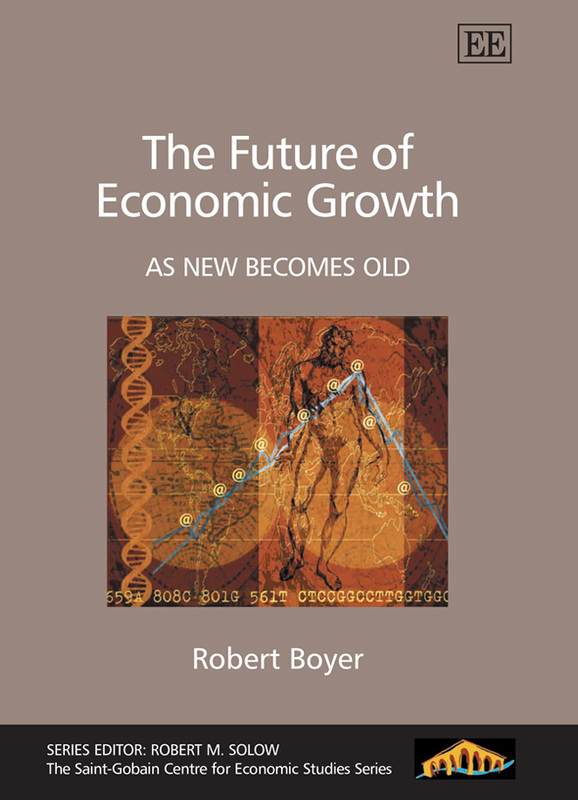 Robert Boyer brings significant and fresh insight to efforts to situate the meaning of the digital transformation through which we are living. With analytic discipline and historical perspective, Boyer provides an important interpretation that will be valuable to scholar and teacher, those just curious about the internet development and those who lived through it. In this book, Robert Boyer follows the origins, course a broad spectrum of issues ranging from labour markets to corporate governance. Growth paths within the OECD are also assessed, with particular emphasis on contrasts between US and European models. The book seeks to identify those institutional factors, taking into account different national trajectories, which might serve to promote economic growth in Europe. and collapse of the “new economy” and proposes a new interpretation of US dynamism during the 1990s. He argues that the diffusion of information and communication technologies is only part of a story that also requires understanding of the transformation of the financial system, the reorganization of the management of firms and the emergence of a new policy mix. The book includes a long-term retrospective analysis of technological innovation, and an international comparison of O.E.C.D. countries delivers an unconventional and critical assessment of the hope and the hype of the “new economy”. The Future of Economic Growth has been translated and published in Japanese. While interest in innovation and economic growth has exploded in the economics literature in recent years, the role of institutions has been largely overlooked. 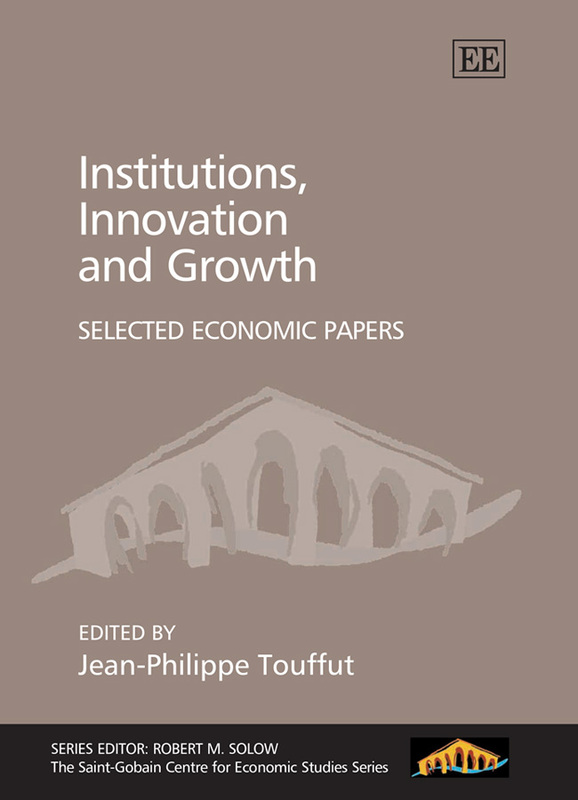 With publication of this book, Jean-Philippe Touffut brings together a leading group of international scholars to provide a path-breaking rigorous analysis of the links between institutions, innovative activity and economic growth. The conclusions from the volume are unequivocal – not only do institutions matter in shaping economic growth, but also their impact can be understood in a systematic and predictable manner. This book contains informed and informing contributions by noted scholars on innovation and growth – surely the most critical topics for economic welfare in the long run. The essays will be most satisfying to students and others seeking greater relevance in the analytic materials of our literature. The specific texts presented here were selected to give an overview of the Cournot Centre’s first two conferences: Institutions and Growth (9-10 November 2000) and The Sources of Technical Change (7-8 June 2001).